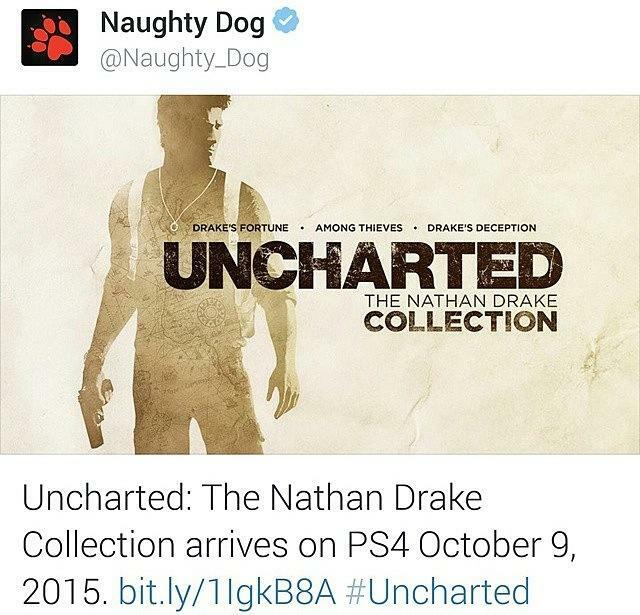 Today, Naughty Dog has officially confirmed Uncharted: The Nathan Drake Collection for the Playstation 4. Below is the tweet sent out confirming not just the game, but also the release date. Which will be, October 9th, 2015. The Nathan Drake Collection will feature Uncharted: Drakes Fortune, Uncharted: Among Thieves, and Uncharted: Drake’s Deception. Let us know in the comments below if you’re excited. Did you get a chance to play the Uncharted series? Or did you miss out last generation?